Galentine’s Day—a celebration of our sisters and our love for them—is the perfect opportunity to bond and create fun, new memories with the ladies we call our besties. So put on that sparkly dress, slip into those gorgeous stilettos, and let your hair down from that top knot because tonight, you’re mixing up one of our top 3 fav mocktails for the best sister-date night ever. There’s just something about mint that makes you feel invigorated. Even though that dang groundhog predicted six more weeks of winter, we can pretend that summer is here and sip on this minty refresher. Blend the blueberries and syrup together in a food processor or blender. Muddle (or crush with a spoon against the bottom of a bowl) the lime and mint together in a glass using a large spoon so the juice and oils are released. Put ice over the muddled mint and lime and then pour in the blended berry syrup. 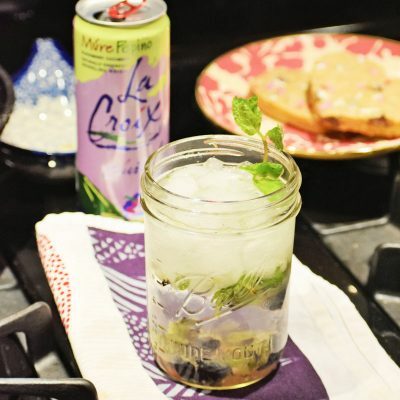 Pour your choice of club soda over all the mixture and garnish with blueberries, lime, and mint to your heart’s desire. Yummy frozen mocktail? Sign us up! The perfect mixture of three different personalities, this sorbet trio will both melt in your mouth and leave you on a bit of fruit sugar high. Fill your glass ¾ of the way with Sprite. 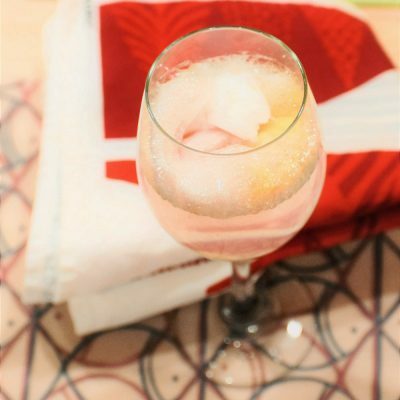 Scoop one spoonful of each sorbet and place in glass with the Sprite. If you want the sorbet to maintain its’ shape for a bit longer, stick the scoops in the freezer for about ten minutes. GALTENTINE’S DAY TIP: If you want to really take the Galentine’s theme to heart (pun intended), use a small cookie cutter to shape the sorbet into hearts. For something a little less pink but just as tasty, try this rosemary delight. 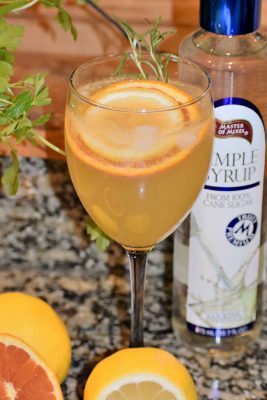 For those of us who like the winter, we can sip on this mocktail and still relish the tastes of winter. Juice the lemons and oranges so that you have enough for 1 cup of liquid. Zest the lemon peel (for a larger zest using a peeler and for a finer zest use a grater). Combine the zest, the juice, rosemary, sugar, and honey in a saucepan over medium heat. Boil for about a minute to let it reduce down. Remove the mixture from the heat and let it sit for ten minutes to cool. Strain the liquid and remove the solids—let the remaining syrup cool. Once the syrup has formed, place two to three tablespoons in a glass and add the soda water. Stir and garnish and you have beautiful citrus sister mocktail. 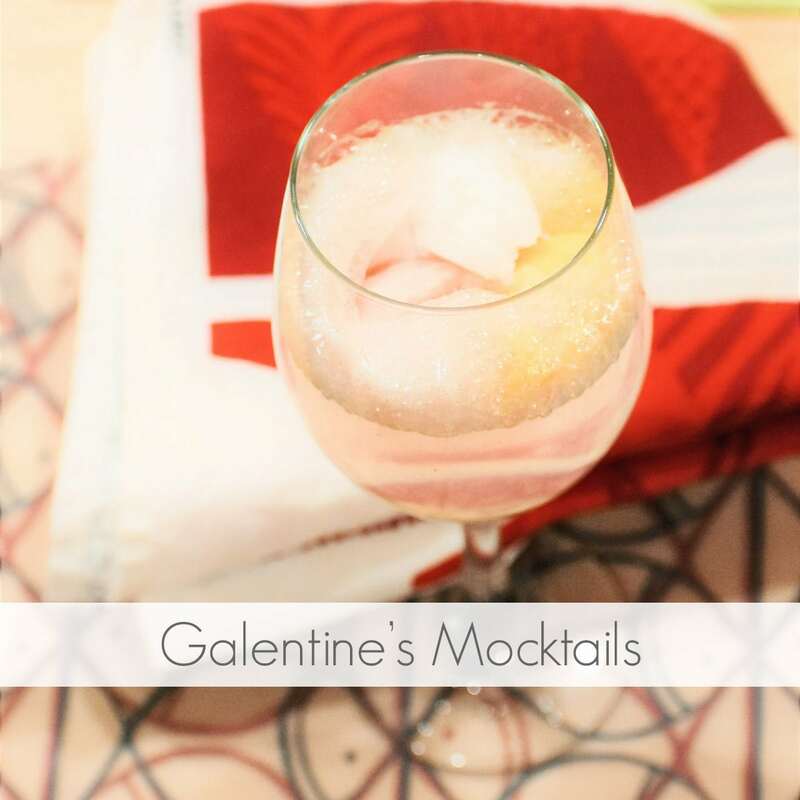 Impress your BFF and sisters this Galentine’s Day with one of these three cocktails (or be like us and try them all!). Tag @a_listgreek in a pic of your Galentine’s celebration and be sure to tell us which mocktail you and your sisters enjoyed most! This entry was posted in Members Only: A blog for chics and Greeks alike. and tagged mocktails, Valentine's Day.